Auto dealerships have been sending their employees to sales training for many years and traditional sales training is still indispensable for auto dealership salespeople. As the internet has become more central to how customers search for vehicles, however, training for internet marketing has become an essential part of the sales process. Fortunately, a new breed of programs and trainers has emerged to fill this need for auto dealerships. 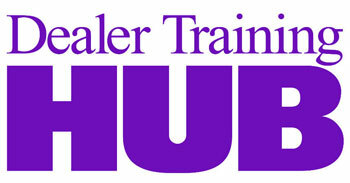 The dealers who take advantage of training now will be the market leaders in the future. Choosing the right training program for your dealership is vital to your success. So, in order to help you in the process of choosing a training program, we spoke with both educators and dealers to get their perspectives. They may not agree on everything, but one thing they all agree on is the importance of training for every auto dealership, big and small. Check out what they have to say, and visit www.dealermarketing.com to learn more about internet marketing and sales training. How has internet marketing changed the sales process? GlennPasch—It’s changed the sales process in a variety of ways. The customers are now more educated, so they’re not depending on the dealer to be the only source of information about an automobile. In the past you could read some magazines, but you were really dependent on maybe your circle of friends, and that dealer/salesperson to guide you through the different aspects of the car and the sales process. Now, customers can go on the web and they can find everything. They can find the cost of the car, even the price you bought it for. They have so much information if they want it, so now it goes from “I’m going to tell you about the car” to more of a “I’m going to build a relationship with you about how I’m going to take care of your transportation needs.” We’re shifting from actually focusing solely on the car to more about how I’m going to take care of you [the customer] once you buy the car. Dennis Galbraith—The biggest change is that the sales process starts online. The basic sales process is listening, matchmaking, demonstrating, and closing. The internet has ears; it listens and responds. It can provide fantastic matchmaking services. It can demonstrate far better than print ads or short radio and TV spots. For expensive, durable goods, like cars, the demonstration is usually continued at the store. The matchmaking is usually confirmed or redone with the help of a sales professional, and the close generally happens in person. This is especially the case for used vehicles. The fact that the sales process begins online impacts everything within the store from appointment setting and greeting to desking and F&I. However, dealerships have far more of those opportunities once they recognize the online experience is part of the sales process. Paul Potratz—It’s completely changed, in the sense that what dealers used to do two years or five years ago is not true any longer, because now social selling is a big part of the sales process. And that’s something that salespeople and sales managers need to be aware of, because that’s where the customers are. Everything is pretty much social media now. Google places, that’s really social media, because now you have all the review sites listed and we’ve never had access like that before. Our old idea of a review was to go the better business bureau and hear what individuals were saying about the business. Were they a preferred member of the BBB? Were there any complaints? But you never knew who those individuals were. Or you were even connected to them. And now with all the review sites out there, whether you use Google places with Google reviews, or if you’re using yelp. You can actually see if you’re connected to those individuals. Are they your social friends or are they your real life friends. It’s much more of a process now. Every person out there making a purchase has a big megaphone, a big mouthpiece to express that they were please with the process, or if they were not pleased. Everything that you do now is really under a microscope. And whether you’re selling a vehicle or servicing a vehicle you need to be aware of that. And that needs to come from the bottom up and the top down. And that takes training. What skills are needed to be a good Internet marketer? Market transparency intensifies the competitive landscape so smaller dealers need to invest in the same analytical processes large dealer groups are using. Dealers just can't get by making marketing decisions based on gut feel. Nationally, dealers waist over $1 Billion each year on buying marketing products that don't sync up with their strategy. Many dealers are executing poorly on much of what does fit. For example most internet sales departments (BDC) are under staffed and are required to handle more leads than can be adequately serviced. Finding, fixing, and avoiding mistakes in marketing takes math skills, the internet multiplies the importance of mathematics in marketing. Dealers also need courage to challenge all their current marketing investments and courage to embrace analytics and make a commitment to inspect and measure their marketing investments. Dealers need to have a comprehensive marketing strategy that incorporates their traditional media, digital media, third-party leads, and marketing partnerships. Our most successful internet marketing turnaround stories start with a two to three day on-site assessment where my team and I analyze all current investments and in-store processes. We give dealers a road map on how to shift their budgets and introduce measurements to fine-tune those changes each month. Dealers are looking for guidance in shifting their ads budgets and we provide that peace of mind based on our market experience. GlennPasch—There are two different roles now. You have the internet sales manager, but a lot of times they’re not dealing with the customers face to face. They’ll deal with them over the phone, so they’ll need good phone skills. They’ll have to be able to get a person to the dealership, so it’s a little bit different skills since you have to get them here. They have to be professional in their emails and follow up and after that they have to be very organized and dedicated. So, those skills plus learning how to market online, so they’re responsible for analyzing website traffic: Where are we getting people to come visit our site? Where are we advertising online? And using different strategies to attract customers to that website. Once they get to the dealership, nine times out of ten, they’re not dealing with that internet manager; they’re handed off to a more traditional salesperson. Paul Potratz—Well the first thing is with a lot of individuals, they don’t understand what’s going on. They don’t understand what social is. While it seems really easy to you and I there’s a lot of individuals that maybe have a facebook page, but they don’t really understand the magnitude of how much further it goes. Just look at facebook with all the different APIs that are available. That ties everything together, they don’t understand. So what they need to understand is the platform and that this it is actually a cocktail party, and you’ve got to join the party, otherwise you’re going to be left behind. What is the most effective way for dealership employees to gain internet marketing skills? GlennPasch—There’s a lot of very good information online. Just as a customer can go research cars, you can go out and join some of the automotive forums, like drivingsales.com, automotiveinternetmarketing.org, and internetsalesmanager.org. These are free forums where a lot of these people who are internet managers get on and people are posting, blogging, starting conversations, asking for feedback. You have vendors also on these forums as well, to help educate about products. You can do a lot yourself, but there are also programs like PCG has, such as their internship program that they run three times a year, done through webinars, where we walk you through a curriculum, where you have homework, and you’re homework is done on the dealership that you’re working in and you’re certified at the end and your final review is to create a digital marketing plan for that dealership. There are also a lot of educational portals, like DealersEdge.com, that can have a yearly membership fee and you have access to a lot of webinars and videos. There’s companies who do free webinars each week, as well. Plus then, there’s the conferences. And I really think that is one of the most important areas where you can go. There is also the PCG Pit Stops, there’s the Automotive Marketing Boot Camp, the Digital Marketing Strategies Conference, DrivingSales Executive Summit, Internet Battle Plan, just to name a few. There are smaller regional conferences or larger conferences. What’s important about getting there, is not just the education from the speakers, but more importantly, having the opportunity to meet other people like yourself. In a dealership, a lot of times, the internet manager is really the only one who understands what they’re doing and everyone else is still thinking traditionally. So, sometimes they feel very alone in their pursuit of their job. When you start meeting other people, it starts to build something akin to what a 20 group is for dealer principals. They have their 20 group where they go and they chat and they share experiences, this allows them to meet likeminded people and start building relationships so now I can call you and talk to you. But really it’s being surrounded by people that are in your same situation. Different levels of experience and really bonding and getting out of the dealership to really focus on really good ideas that you can go back and implement in your dealership. Dennis Galbraith—Get them to see the big picture. Auto dealerships are the most departmentalized small businesses on Main Street. If you want to understand your customers and how to meet their needs, then you must understand every touch-point—human and technological. The basic fact that vehicle videos, photos, and seller's notes are selling rather than advertising can be an eye opening beginning. Without that basic framework, they will never understand the importance of the tasks contributing to the bigger picture. When people understand why those tasks are important they perform better and are eager to learn more. Paul Potratz—Well there’s some dealers that just won’t get into the mindset, which is unfortunate. Then there’s other dealers who don’t want to be in the mindset, but they understand the value of it and they are providing training to their staff, and urging their staff to be part of it. I think the big thing that we have been able to convert dealers and general managers with is to show it to them in dollars and cents type scenario. We ask [dealers]: Do you remember the days when you would go to your Rotary Club meeting, or chamber function. If you go to a Rotary Club meeting, there are 300 people and you’re able to actually connect with maybe 10 of them. How could that result in sales? But it does, and it’s the same with social media. You just start connecting and it will result in sales. The ones that have followed it through and been open minded. That’s the thing, you’ve got to have an open mind, and you’ve absolutely got to forget everything you’ve learned about marketing and advertising and start fresh, because everything has completely changed. And that’s the big thing. I always tell them: Keep an open mind and forget everything you’ve learned in the past years, because nothing’s the same any longer. Which employees would benefit most from sales training? Brian Pasch—The first group is obvious, starting with the dealer principal or general manager and moving through the organization to the internet sales manager, fixed operations manager, and the front lines sales and service team. The second group of employees is not so obvious and is important for the sales process to be seamless. These are the people who don't think they are involved in sales. The team member taking the pictures, or the person writing seller's note, are handicapped by the false notion they are in the advertising business. They are selling vehicles and, if they don't do a fantastic job, dozens or even hundreds of sales opportunities are never going to happen. The receptionist and/or BDC are the initial contact with consumers and their phone skills and sales training can be critical in making a great first impression. Mystery shop any dealership and you will be surprised by the percentage of dealers who mishandle their calls on a daily basis. When you look at most dealer budgets, less that 300 dollars a month is allocated to sales and marketing training. It is a tug of war to get dealer employees out to conferences and regional training events. The internet is changing the dynamics of sales processes and marketing strategy. Without the proper investment in education, dealers will be left behind. GlennPasch—Everything that you do in a dealership from the receptionist to the service advisors and service managers. Anyone that talks to the public should have sales skills, because it’s all about how you present yourself and how you’re educated. For the internet marketing side, your internet manager, but that is one of the mistakes that I think dealers make. They send that one person, when really, the general manager, dealer principal, general sales manager, or your service manager, need to go, because they can start learning ways to leverage their knowledge. For a dealers principal, they know how to go find a car at auction, they can buy and sell, they can look at sales reports, they can walk into their service bays and know this, this, and this, but you ask them how many people visited their website and they look at you like you’re speaking Chinese. But yet, that is where a majority of people are doing their research and coming to look at their dealership before they step foot on the lot. Getting that dealer principal to understand that what they used to do when they advertised in the yellow pages and they knew how to place an ad, tell which one was the best ad, and place it; that’s Google places and their Google maps listing. It’s the same thing, so once you bridge that knowledge, and say this is this, all of a sudden their eyes open up and they go, “Oh, now I know what to do!” I’ve taken the experience they already have and showed them they just need to shift it. With a couple changes in language, it’s still the same thing they used to do, just in a different arena. The dealer principals and general managers that come and hear that, they’re so excited, because someone unlocked it for them. It’s not this mysterious, crazy, oh-you-have-to-be-a-website programmer to understand. And that’s the excitement for us as educators, from our experience when you get dealer principals and they bring four or five of their people there, and they attend and they can attend many workshops, they come back with 25 different ideas and if they implement just one or two of them, they’re going to sell more cars. Paul Potratz—Absolutely everyone can benefit from understanding what’s going on with social media. And service most definitely. They know individuals. Even if you’re not customer facing, even if you are a tech, you have friends and sometimes your friends forget where you work, or it’s just not top of mind. But if you really have a two way communication strategy, and you actually utilize it, your friends are going to remember where you work and they’re going to refer business to your dealership. Therefore, if you’re a tech, you have the opportunity to get more billable hours, depending on how it is for the tech. Even the individuals who are not client facing, like a title clerk, one of the clean-up crew, or whomever, if they’re utilizing it, they’re helping the dealership to become a community in the sense that the dealership can become its own media arm, and have more reach and more power than any newspaper, radio, or TV station in their market just by the employees that work there…You’re going to drive more traffic to your dealership, the dealership is going to benefit, the dealership is going to be more financially stable. I mean, it’s a win, win, win, there is no negative. That’s what can be a little frustrating to me as far as the dealerships that tell me, “I don’t want salespeople on social medial; I don’t want them doing that.” Why not? Why would you not want them on social media? You trust them to greet customers on your lot, you trust them to actually answer the phone, but you don’t trust them enough to let them use social media; that makes no sense. Invest in education and teach them how to use it. Teach them how to benefit from it and you as a dealer will benefit from it also. What prompted you to get training? Matt Haiken—I don’t think anything prompted me. It’s part of my DNA. It’s part of my belief system, my values systems. I just believe in networking, educating myself, reading about entrepreneurship, other small businesses, public companies, and then within the automotive world as well. Nothing really prompted me. I believe we need to invest in our people and in ourselves…In the car business I’ve always believed in getting as much training as possible, because you know the old story, “There’s the used car lot, there’s the new car lot. Go get ‘em kid, good luck!” that’s what most people got for training. In today’s world everything is so competitive, everything is changing so fast, you need to surround yourself with great people and never stop learning. I’ve been an advocate of NADA 20 groups or NCM 20 groups. I’m in an NADA 20 group, but they’re both the same. Just because no matter how successful you are, not matter how many dealerships or businesses you have, you should never stop learning from other people. A. J. Maida—I talked to a few friends of mine that actually do what I do and we agree, if you don’t do training you will get left behind. Half of our job is learning our job, or relearning our job if you will, and the other half is doing our job. The blip you just heard was Google changing everything. Just three days ago they changed the entire way they do reviews on Google places. Places like PCG have a staff that reads all the information and internet sites, such as www.internetsalesmanager.org, www.automotivedigitalmarketing.com, or www.dealerelite.net, and their staff condenses it. Then, they don’t just give you the theory, they give you ways to apply it. Theory is great, but application is more important. Like I said, I spend half my day retraining myself and the other half doing my job. Joey Abna—Ever since the internet came around, I really enjoyed trying to figure out how to acquire eyeballs. In other words, how to I get in front of people that are looking for something on the internet? I played around with my first website in the late nineties with Microsoft Publisher. Never really went much further with that, but then later I got more involved with the marketing side of things with our dealership and realized that there’s so much traffic out there and so many people searching on the internet. So, how do we best get our brand, our stores, our location, and our vehicles in front of people that are looking for answers on the search engines? Then I just got involved in some of the forums like automotive digital marketing and drivingsales, and as you read people’s comments and blog posts and other things, you figure out who knows what and then you start following people and following discussions and then you grow from there—Who has the best answers and where to go to get educated on a particular subject? What have you put into practice at your dealership that you learned through training? Matt Haiken—We have always really focused on leveraging video testimonials and using these video testimonials to solicit new business. We have really focused on that and setting up a process to get as many video testimonials as possible. And then we’ve spent a lot of time recently, leveraging our walk-around videos to help improve our search engine optimization and our presence on facebook and youtube; those are two areas where we’ve focused a lot of time. We’ve also come up with processes for handling the phones, because are key to success is really handling the phones properly; for every one internet lead you get you get two to five phone calls. It’s a lot of phone calls. So those are three areas that we’ve really focused on. A. J. Maida—The name boot camp truly applies. There was a lot that was there…I’m still applying things, because it takes time, but I have a notebook full of stuff and I’m going through it and whatever I can apply I do. Number one that I probably took away, remarketing from Paul Protratz, and that will go back to the first question. One of the reasons we chose to attend this boot camp was that the presenters that Brian put together are people who I respect. He really put together a good panel of presenters. We definitely have increased traffic, we’ve seen 11,000 more visitors to our website in the first six months of this year than we did in the last six months of last year…an increase of 12 percent in visitors to our website. Joey Abna—Besides the PCG Pit Stop, Pasch and his group did an SEO group and we worked through a 16 week course and about how to build links, how to build content, micorsites, wordpress, and things like that. Going through that 16 week course, really made a difference, because I now have a lot more organic search traffic than I once had. Just the other day I was looking at the organic search traffic at one of my websites and it used to be there was about 412 different terms listed, but for this most recent report I ran there were 821 different terms that drove people to my website. So, we’re doing a better job with long tail search, we do a great job with dominating our brand, “Peltier Chevrolet, ” “Peltier Nissan,” when you get down “Chevrolet Tahoe,” “Chevy Silverado,” “where’s the best place to get a Camaro,” or “synergy green Camaro,” those were the more competitive, and with some of the skills that I learned through the automotive SEO study, really helped me to improve that and get a better handle on that in our market. Chat—Do You Have It On Your Site?